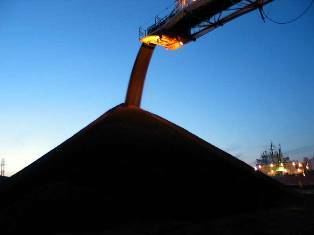 Tidy Mart have an agreement with the reliable miner owners in Indonesia and South Africa, we conform the international quality standards to fulfill our clients requirements this is our primary goal in this thermal / steam coal trade. With years of experience in this field have given Tidy Mart an edge over others. Tidy Mart representing an Indonesian Coal Company, which is having more than three decades of experiences in this Coal Industry. We have been trading in the South Asian Continent and China. The company has in view of the increased cost of crude oil in particular, seen a significant increase in demand for coal to power stations and cement factories. We have expanded our mining operations to meet the increased demand, and have at the moment more than 10million tons reserves of various grades of coal from 5300 GVC to 6500 GVC. 100% at sight, Irrevocable, Transferable letter of credit, from any prime International Bank. Here we attached the entire Indonesian Steam Coal Specification. We can supply all the Grades mentioned here. Here we attached an LOI form, for Buyer's convince. Kindly, please send us your LOI or PO including detail specification with your best target price. Only buyer who issues LOI will be contacted. Here we attached some sample FCO, for Buyer's convince. All our buyers are requested to download the FCO from the following link can be used only for sample purpose and for clarification. Further if you have any quires related to Indonesian Coal import, kindly mail us with your entire queries. We are here to assist you in every possible way for mutual beneficial. Commitments and the need to return the environment back to its original state in the mines we operate jointly. Procedures, systems and a program are in place regularly monitored by our senior management and also regularly audited by independent Environment consultants to ensure that pollutants are properly controlled and maintained within International acceptable standards. 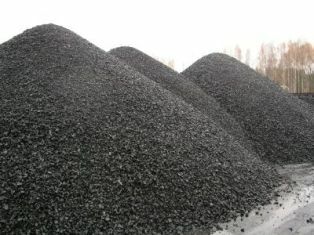 All the Stockpiling of topsoil is managed carefully and rehabilitation is carried out on a regular basis with proper supervision by experts, all steps taken are scheduled into the mining planning schedule and are in accordance with the environmental management plan approved by the Indonesian government. We also ensure Overburden is backfilled as soon possible to keep the impact of the mining activity to a minimum in the area of operation. A program is in place as soon as possible Native trees are planted in the areas that have been mined-out. Even the run-off water is collected in settling ponds with dams to protect the near by rivers from the pollution. The company also has programs in place to protect and restore natural flora and fauna in the areas of its activities.